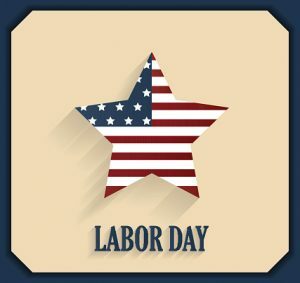 Labor Day arrives in early September, ushering in store sales, back-to-school, and the welcome chance for a day off from work. It’s also an opportunity to remember its origins, as a day to honor everyday workers. In the United States of the early 1900s, working conditions in many places were hazardous and inhumane, and child labor was not uncommon. Organizing efforts to campaign for safe and humane conditions, fair wages and hours, and to end child labor, are part of what we celebrate with today’s Labor Day. Find a career that makes use of your strongest interests and offers a good salary with high employer demand. Check out CareerOneStop’s Interest Assessment, and link to details on your suggested careers. See the fastest-growing and careers with the most openings in your local area. Learn about how training and education can help you qualify for better jobs, earn more money, and make work more satisfying. Explore the different types of training available to see which might fit your current needs and time available. Find out how to pay for training. Apprenticeships are in the news lately – could they work for you? Get started on a job search right away or learn how to present yourself to employers more skillfully. Use the Job Finder to search 3 job national job banks, updated with new postings daily. CareerOneStop’s Resume Guide details all aspects of developing and improving your resume and cover letters. Learn all the steps to executing a strong interview and negotiating job offers. Take your job search online describes key social media tools and how to use them to look for work. If free, personal assistance is what you really need to get your career moving, look for a local American Job Center to contact for computer access, workshops, and job help. CareerOneStop wishes all workers across the United States a happy Labor Day, with gratitude for your ideas, your energy, and all the work you contribute.